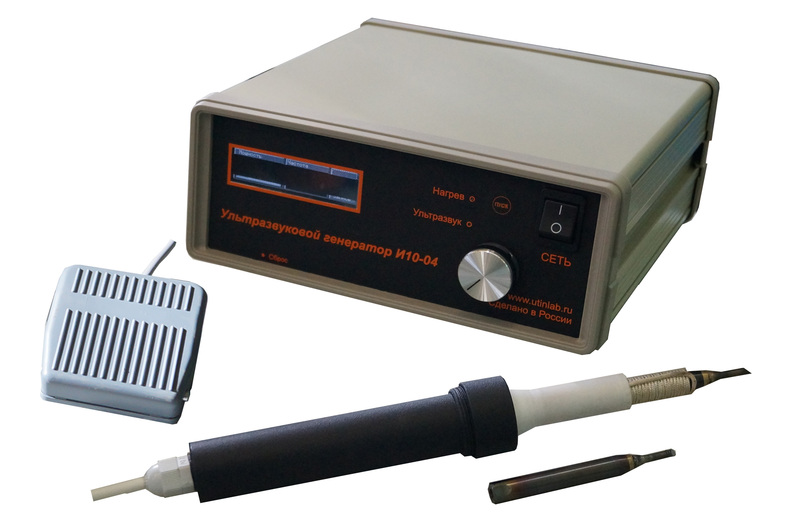 An ultrasonic soldering iron И100-3/5 is intended for tinning of tin-lead solder of goods made of materials which are difficult or incapable of plating by known methods. 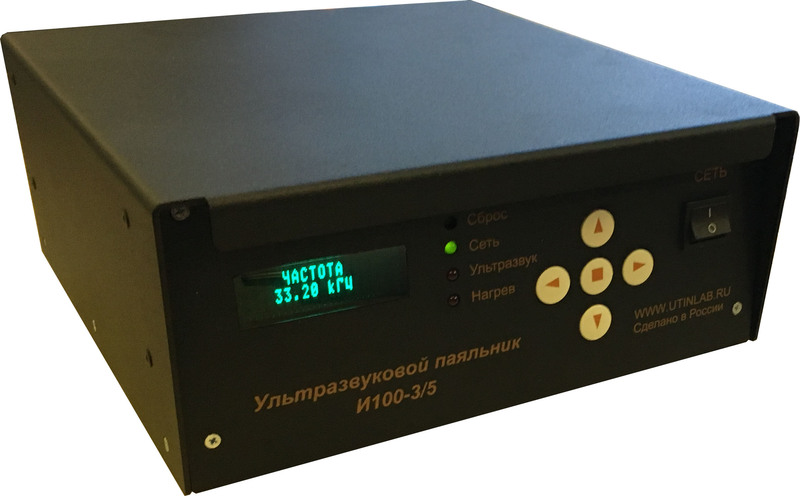 With this installation, you can tin and solder products made of aluminum and its alloys; titanium and its alloys; stainless steels of various compositions, glass and ceramics, etc.in manual mode. Under the influence of ultrasonic vibrations, ultrasonic cavitation occurs in the solder melt. Cavitation provides removal of dirt and oxide film from the surface of products subjected to tinning. - the mass of the tool. 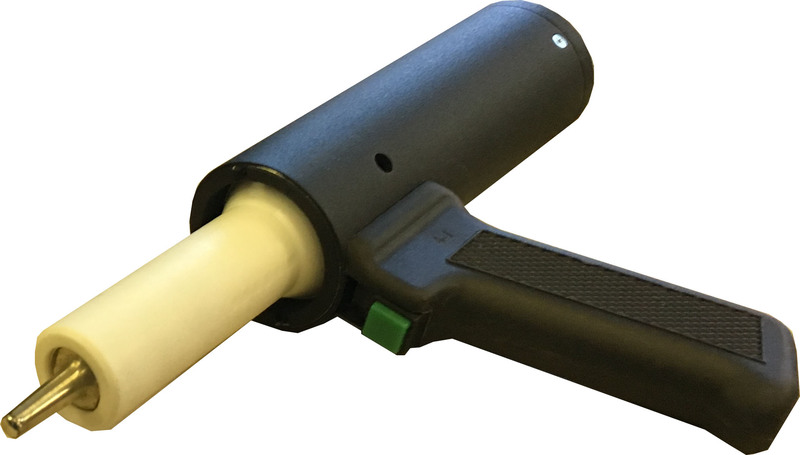 - foot pedal to turn on / off ultrasound.